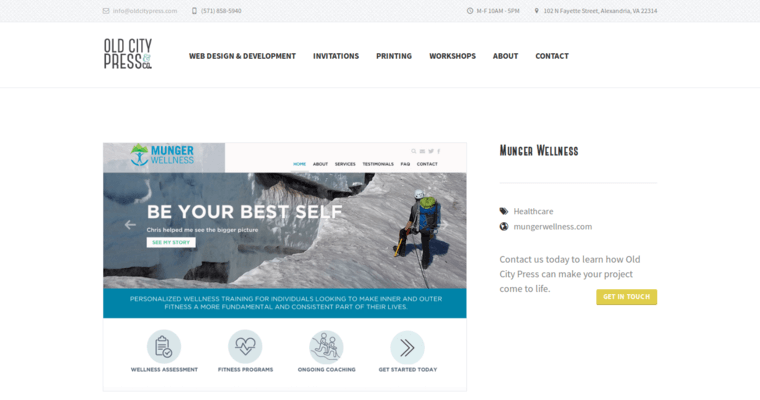 Old City Press is an excellent digital marketing firm that is able to provide various different services that are designed in order to help grow their clients' businesses. 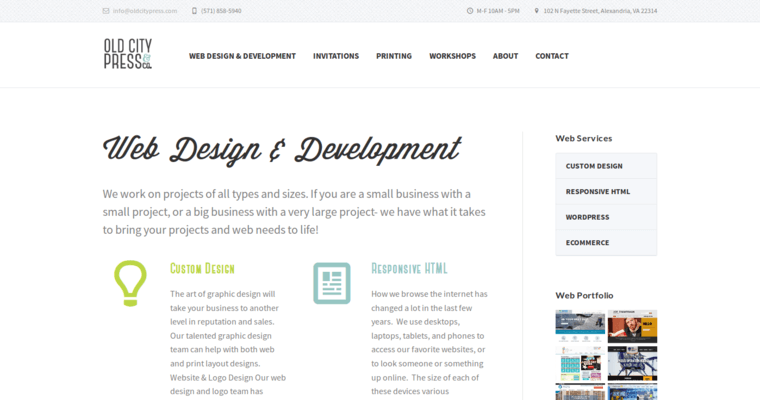 According to all of the written reviews that they have received in the past from clients, they have actually gained the reputation of being the best responsive web design firm available within the entire industry. Their headquarters is located in Alexandria, VA, but they have helped companies all across the United States to grow their businesses with the assistance of their quality service and excellent customer service. 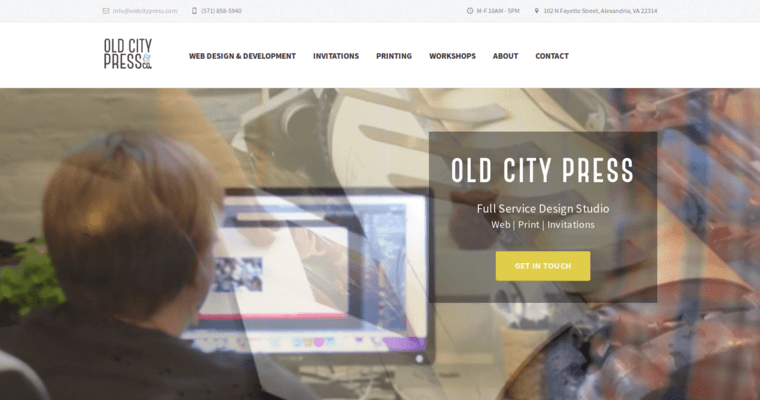 Some of the services that are provided by Old City Press are custom design, responsive HTML, WordPress, eCommerce, web portfolios, invitations, personal stationery, letterpress appraisal, and custom business cards.